Did you know that there are actually a surprising amount of survival uses for chapstick?! I was incredibly surprised that this little tube could do so much to help me (and you) survive in a crisis. However, I’m a big believer in sharing information like this, especially when it could help you save your life. Had to get this one out of the way; it’s completely obvious but a reminder to always have a tube of chapstick on you to keep your lips from drying out and becoming cracked. If you don’t want your knives rusting, simply lather chapstick along the blade; this is a great trick for moving with them in the rain! Note: Having trouble picking out a survival knife? We’ve got tips to help you find the perfect one right here. You can fit tiny survival tools inside of an empty tube of chapstick. Examples of these include: Q-tips, pills, kindling, waterproof matches, fishing materials, etc. If you need a survival kit with a bit more room (but still compact enough to fit in your bug out bag) look no further than our FeatherLite Survival Kit 1.0. 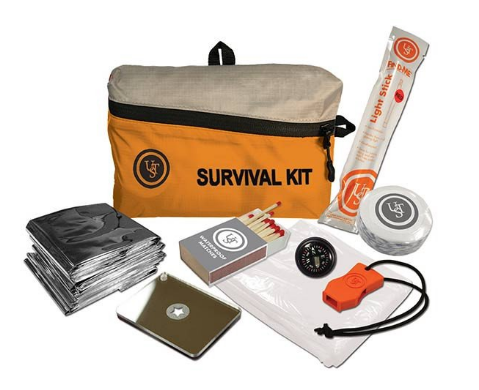 It’s got all the basic tools you need to survive in an emergency, like a compass, blanket, poncho, matches, and more! Click here to see it now. If you need to light a fire, you can cut a cotton swab in half, and rub the cotton end on top of the chapstick. Then, stick the opposite end into the middle of the chapstick. It may not burn for hours on end, but it’ll certainly give you a portable light if you need one. If you’re in the market for a new fire starter to accomplish this task, I HIGHLY suggest using our new Tesla USB Double Arc Electric Lighter. This survival tool not only looks badass with its dual arcs of purple electricity, but it’s also rechargeable, ridiculously easy to use (just hold down the button to light), and emits 300 sparks – about 100 more than its competition! 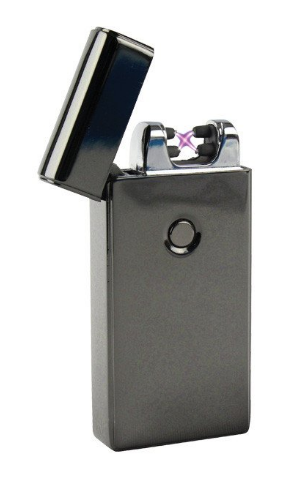 Click here now to make this lighter yours. If you’ve got a minor cut, you can rub chapstick on the wound to help prevent dirt from getting into the wound, thereby reducing the chance of disease. 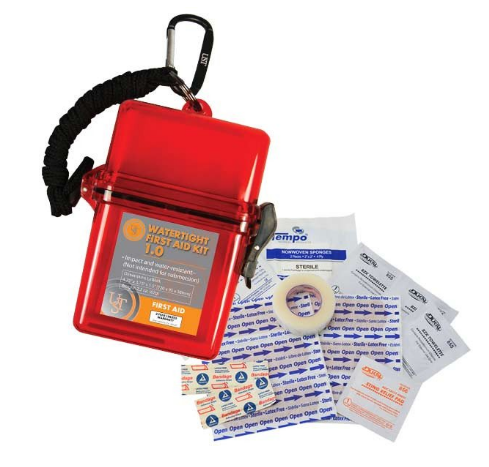 Another awesome way you can prevent dirt and disease is by using our Watertight First Aid Kit 1.0. It’s full of life-saving supplies, and is so compact it can fit on your keychain! Check it out here. If you wear glasses, you can rub a small amount of chapstick on the lenses and polish the glass with a cloth in order to remove smudges and debris. This will also help prevent your glasses from fogging up. If you’ve got an empty tube of chapstick, you’ve got a compact and easy-to-hide storage space for your bills. Chapstick isn’t just useful for helping prevent chapped lips; you can use it to help fight frostbite by rubbing it over your hands, feet, and other exposed skin. 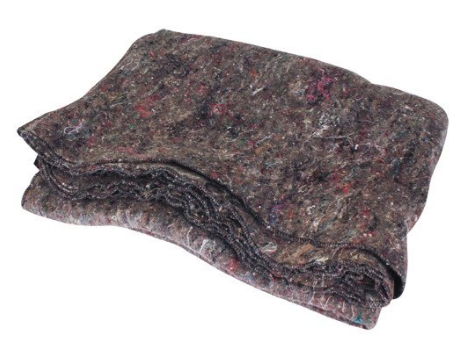 You can also keep warm and help protect your skin by wearing this extremely warm Disaster Relief wool blanket. Click here to get one for yourself! Now I know eight items seems HARDLY enough to cover all the incredible survival uses of this compact survival tool, so here’s a video of 25 SHTF uses for Chapstick. Enjoy! Well there you have it – 25+ survival uses for chapstick. Obviously, this is an incredibly survival tool that should immediately go in your bug out bag. My only beef with this awesome survival tool is how expensive they can be. Especially if you want one of the better quality tubes, these can run you a pretty penny if you need them in bulk. Thankfully, we’ve got a cheaper option – with our lip ointment box, you can get 100 packets of soothing, cooling lip treatment for only $19.99 (That’s less than 20 cents per packet!). 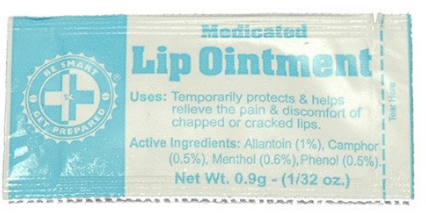 These lip ointment packets are super compact and easy to carry in your survival kit, bug out bag, purse, or pocket. They’ll also soothe the pain and discomfort of your chapped, dry, and cracked lips, giving you instant relief to go on with your day. This box is great for families, offices and bug out groups. And, when SHTF, you’ll be super happy you had the forethought to bring these along. Click here to grab this box of lip-saving treatment for yourself. This entry was posted in Emergency Preparedness, Prepping, SHTF, Videos and tagged bug out bag essentials, prepper hacks, survival on October 17, 2016 by Survival Frog.